POWR-SPEED ® High-Speed Fuses are engineered to protect power semiconductor devices such as diodes, triacs, IGBTs, SCRs, MOSFETs, as well as other solid state devices typically designed into power conversion and power conditioning equipment. 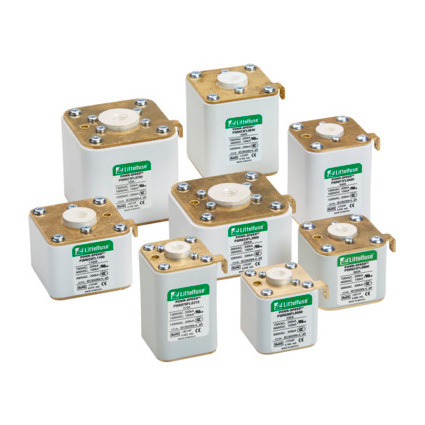 Plus, this line of high-speed fuses has expanded to meet a broader range of critical protection needs and provide more. Protection for your sensitive power semiconductor devices. Space for your equipment with compact fuse case design. Reliability with advanced silicone sealant construction. Information right at your fingertips. Typical markets for POWR-SPEED ® High-Speed Fuses include pulp and paper industries, cranes and heavy-lifting equipment, processing industries, wastewater treatment plants and various large factories and MRO facilities. Littelfuse is pleased to announce the continuation of the POWR-SPEED® PSR Series with a new 700V case size plus additional intermediate ratings. This is the next phase in an on-going effort to bring you best in class DC performance.